Tropical Storm Hagupit has weakened this morning as it continues to move towards Vietnam. The system was last located approximately 770km northeast of Ho Chi Minh.Maximum sustained winds are down to 65kph with gusts of up to 85kph. TS Hagupit is moving westward at 15kph. Latest satellite image shows convection has weakened and is confined near the circulation center. Wind shear has increased and dry air from the north is continuing to get entrained into the circulation. Hagupit should continue weakening as it nears the Vietnamese Coast. Tropical Storm Hagupit will continue moving towards Central/Southern Vietnam. The system could weaken to a Tropical Depression by tonight and make landfall by tomorrow morning in Southern Vietnam. 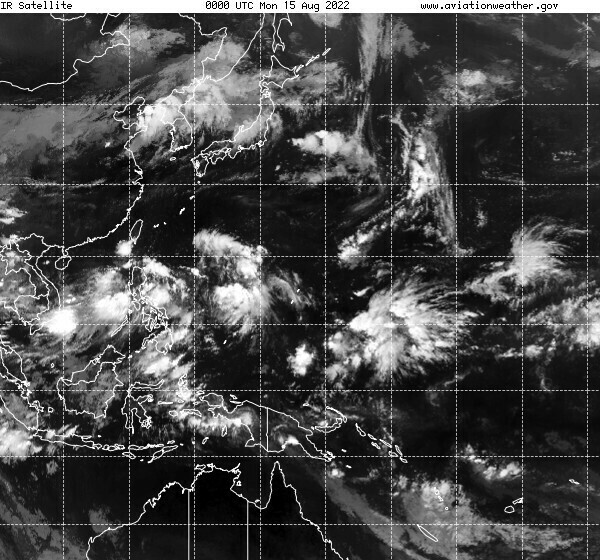 Heavy rains and gusty winds will affect the southern half of the country, including Ho Chi Minh. Hagupit should rapidly weaken and eventually dissipate as it moves over land.